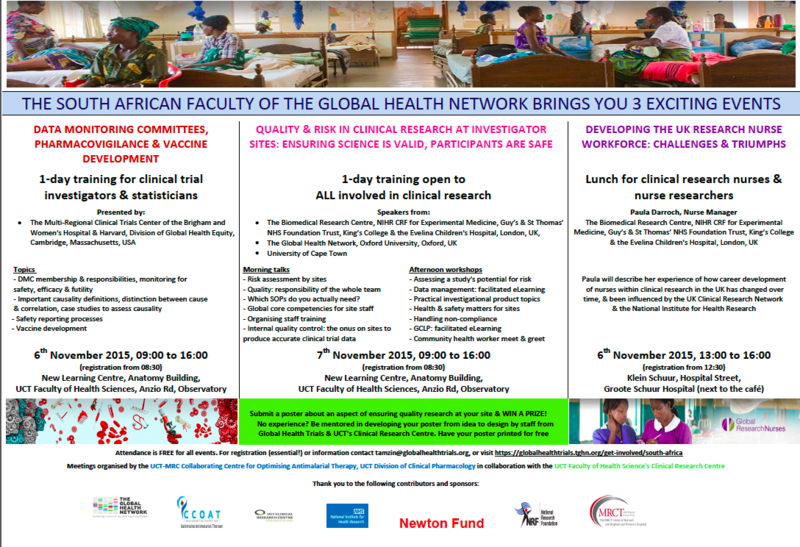 The South African Faculty of The Global Health Network for this years' annual meeting brings you three exciting events. The events are aimed at all levels of staff from field workers to principal investigators, for a detailed view of topics please see the pdf on the right. Registration is essential as spaces are limited, please contact tamzin@globalhealthtrials.org to register or for more information.